I love the details and expressions in this drawing. 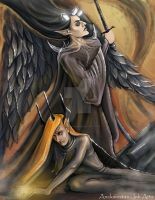 Melkor’s face is exquisite, and the crown is magnificent. Great job.